Joel Greenblatt's Magic Formula attempts to identify good businesses that are cheap. Many of these business are out of favor, which can be the best time to buy. 2016 results from the Magic Formula were good and I expect much of the same in 2017. As we move into 2017 and the PE ratio of the S&P 500 sits at about 25, now may be a very good time to make sure you are investing in great companies at fair prices, as Warren Buffett would say. 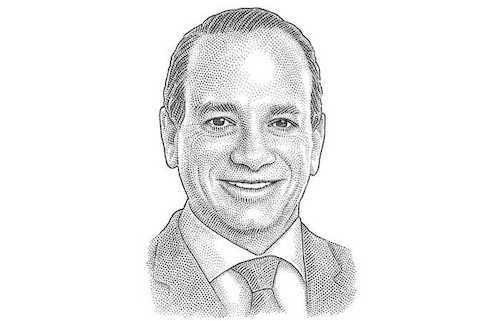 One way for the average investor to find companies generating solid yields at a fair price is to use a screener like Joel Greenblatt's Magic Formula. The Magic Formula screener looks for companies with high earnings yield and high return on capital. Often times, there is a reason those companies are cheap, but Greenblatt's believes his research shows if you buy enough businesses that have high return on capital and you get them for cheap, you will win over time. Often times these companies are businesses that are out of favor. You may need to hold your nose and hit the buy button. But that's one of the main tenets of Value Investing. If you feel a little uncomfortable as you are hitting the buy button, you are probably making the right call. The Magic Formula picks for 2016 had some big winners and a few that didn't do so well. Obviously it depends on when you run the screener, what market capitalization you use and which stock you ultimately purchase. My personal portfolio saw big winners in AGX (up 118%), IDCC (up 86%), TSRA (up 47%), and PETS (up 35%) to name just a few. There were also losers, including GILD (down 29%), VIAB (down 14%), VDSI (down 18%) and GME (down 10%). There have been other SA articles discussing the reliability (or not) of Magic Formula Investing (see here). As previously mentioned, the timing, market capitalization and number of stocks selected within the screener (30 or 50), obviously make a difference on the results. In addition, my selections have some discretion used for either industries on the black list or negative working capital (current ratio less than 1). In my experience, companies with a working capital deficit can go south very quickly. Nothing scares the market like a company that may not be able to pay its bills. Therefore, other than ESRX, I've excluded any company with negative working capital. Greenblatt warns against using too much discretion, so be careful eliminating too many potential investments. As counterintuitive as it is, it is the problems everyone sees which in fact make these companies such good investments. If I'm going to allow one company to bypass my requirement for positive working capital, I should at least explain further. Ultimately, the reason I'm ok with the negative working capital is because I believe ESRX still has a very strong business. 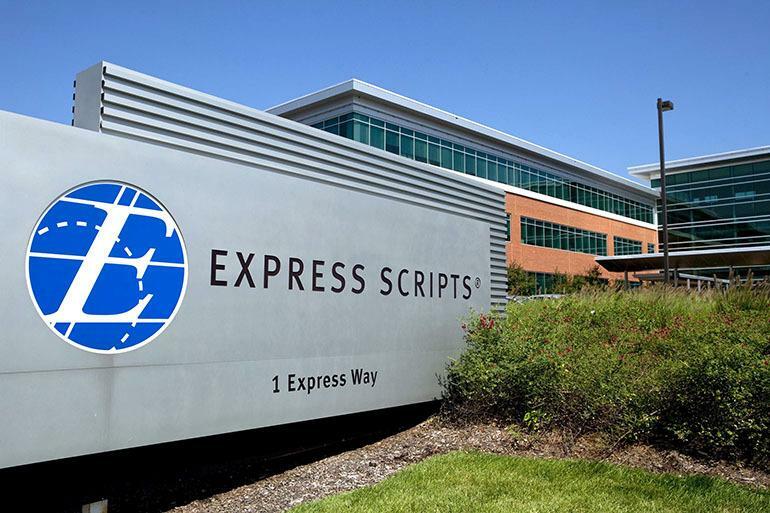 Like many in the healthcare sector, EXRX was down 21% in 2016. Return on Capital of 380%, Earnings Yield of 8.6%, and EV/EBITDA of 7.92 equals a high return business at a good price and one I'd like to own. Is there risk, of course there is. Will Trump set his sights on the PBM's? One major headwind the Company faces is being attacked by Andrew Left at Citron Research (see here). Left nailed the Valeant fiasco no question about that, but he's been wrong about a lot of other things. Remember that call on Tesla being $100 by the end of 2016? Although I have zero interest in investing in a stock like Tesla, it closed 2016 at $213. Then there was the call on June 2, 2016 that Chemours was headed for bankruptcy. David Einhorn used that short call as a buying opportunity and made a fortune. From that call until December 30, 2016, Chemours was up 150%! I'm sure Andrew Left is much smarter than I am, but I'm smart enough to realize he could be wrong. Not too many folks have jumped on the short bandwagon with him, given only 3% of the outstanding shares are short. Bob Doll has ESRX in his top five picks for 2017 (see here), and McKesson Corp (NYSE:MCK), another one on my 2017 list. Obviously the gun stocks have been popular stocks to bail on since President Elect Trumps victory. So now that Trump has won, no one is worried about the Democrats taking away the second amendment I guess. That sounds silly to even say. Were gun sales really driven by people thinking the second amendment was going to be repealed? Surely not. I know it's the story and what everyone is saying, but I have hope that most of the country realized how difficult repealing the second amendment would be and that was much less of a factor in gun says than anticipated. It's interesting to consider that background checks for gun purchases were up 14% in November 2016, which only 8 days into November it was known Donald Trump would be our next President. Look at some other months, like June and July 2016. Those months were up 39% and 37% compared to 2015, respectively. What happened in June 2016? The night club shooting in Orlando happened on June 12, 2016. Background checks in December 2015 were up 44% compared to December 2014. The shooting in San Bernardino happened in December 2015. There are other examples which show at least partially what's driving gun sales is the world becoming a more dangerous place. Unfortunately I don't see that changing in 2017. Smith & Wesson (SWHC) is down 26% and Sturm Ruger (NYSE:RGR) is down 18%, while the S&P is up 9.4% since the election in November. I believe that's too much and these companies are still good earnings yield businesses trading at very low multiples. These companies are trading at approximately five times EBITDA, which is very low for quality businesses like these. I understand that EBITDA may go down, but the Smith & Wesson brand alone is probably with five times current year EBITDA. I also realize the company is changing its name, but the S&W brand is almost priceless in the gun business. It may take longer for the market to jump back into these stocks. The December NCIS numbers will give us further information and I expect some ups and downs in sales just like we've seen over the last eight years. 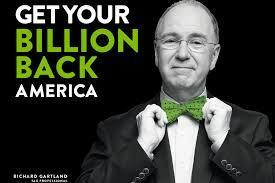 H&R Block's (NYSE:HRB) "Get Your Billions Back" ad campaign a few years ago was at least catchy, although the results were mixed. HRB has a high return on capital business, good earnings yield and a good price currently trading at 9 times EBITDA. HRB was down 30% in 2016, which is good because I didn't own it then. I like HRB for multiple reasons, with one being I think the bleeding has stopped and the stock has bottomed. Also, potential tax changes proposed by President-Elect Trump will at least put taxes at the front of the discussion and give HRB the chance to capitalize on Americans being very interested in what the tax changes may mean for them. Most of that effect will not come until 2018, but I expect it to start to be reflected in the stock price during 2017. Competition from Liberty and Turbo tax will continue, but HRB has the biggest brand in the business and is best positioned to capitalize. We are moving into an administration in 2017 that will use all resources available to accelerate growth of the US economy. Whether that will work or not, I don't know, but I feel better about owning stocks that are considered cheap and businesses that have proven earnings power. Some will be value traps, some may double. Do yourself a favor and find a few of these Magic Formula picks to invest in for 2017. Disclosure: I am/we are long ALL OF THE STOCKS MENTIONED IN THIS ARTICLE. I wrote this article myself, and it expresses my own opinions. I am not receiving compensation for it (other than from Seeking Alpha). I have no business relationship with any company whose stock is mentioned in this article.